Thank you for your interest in GRACE’s curriculum. You will find a dynamic learning environment in all grades where students are learning each and every day — from our superb Bible program to our Accelerated Reading and Math Program in Kindergarten all the way up to our Advanced Placement and Honors classes in high school. We primarily use Abeka for our curriculum, and we also use Bob Jones as well as Houghton-Mifflin for our high school math. Please use the links below in order to find more detailed information about each grade. Our kindergarten department is comprised of Pre-K3 and Pre-K4, and K5. Our K3 program is a half-day program, while our K4 and K5 are both full day programs. Our K3 and K4 classes complete their academic work in the mornings and the children lay down for naps in the afternoon. Please take a look at our section on our Accelerated Reading Program. We’re pleased to report that our kindergarteners are reading at a first and second grade level. Our elementary school consists of classes in the 1st through 5th grades where students mainly use the A Beka material for most all core subjects like math, science, social studies and Bible. Textbooks by Bob Jones are supplemented for reading in the 3rd through 5th grades. Special classes include music, art, PE, and computer. All of our students in the elementary have library time, and a daily recess time either out on our playground (weather permitting) or inside in our gym. Please take a look at the links below to learn more about each of these classes. Our Middle School consists of the 6th through 8th grades, while our High School consists of the 9th – 12th grades. Our students fulfill all of the requirements for a College Preparatory Diploma for the state of Georgia. In addition, our students take Bible classes each year. 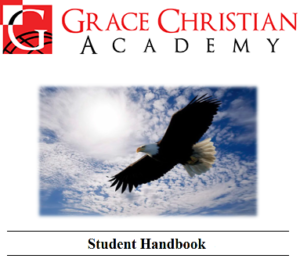 All graduates of GRACE earn a College Preparatory Diploma which is granted under the authority of GAPSAC (the Georgia Private School Accrediting Commission). Please use the links below to learn more about each of these subjects.